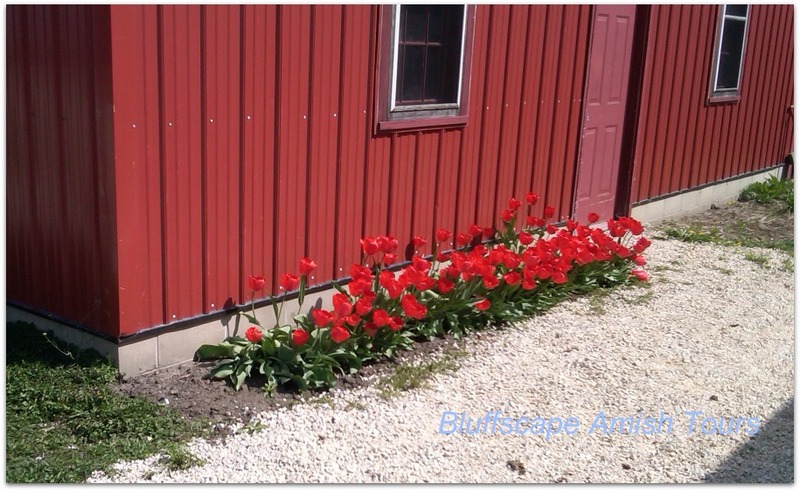 Spring is a beautiful time to come along on a Bluffscape Amish Tour located in historic Lanesboro, Minnesota. The past few weeks we have observed the Amish plowing their fields with a team of horses pulling a one bottom plow. It is quite a contrast to the large modern machinery that their English (non-Amish) neighbors use in the field. Due to the early Spring, flowers and trees are blooming and the grass is a lush, Kelly green. The Amish children are finishing their school year this week. It is fun to watch the kids playing at recess outside of their one-room schools located along the countryside. You will need to ride along with me to learn more about their schooling! Looks like rain in the forecast, but rain or shine, it is always a good time to go on a Bluffscape Amish Tour.